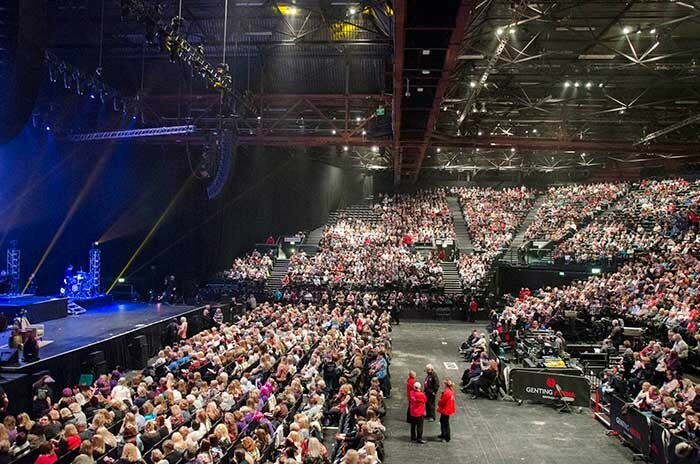 UK – Donny Osmond’s recent Soundtrack of My Life arena tour has given the entertainment icon not only a chance to promote the album of the same name (his 60th), but also take a trip down memory lane to cover five decades of material. The fact that 'Donny-mania' is still alive and well can be measured by the constant screaming of fans, drowning out the mainly arena auditoriums which, in normal circumstances, would threaten to envelop the sound from the stage. In the case of Martin Audio’s award-winning MLA, Osmond’s tour manager (and FoH engineer) Chris Acton found so much headroom under the bonnet that this never became an issue. Capital Sound, who supplied the rig, first worked with Acton on Donny and Marie’s tour of the United Kingdom two years ago. 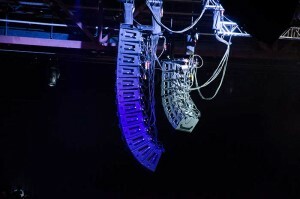 Introduced by UK event production company, LarMac LIVE, the relationship has blossomed and Acton was highly-appreciative both of the pedigree of the sound crew, and the sonic ordnance they had supplied. Although more familiar with other PA systems, he became an instant convert to Martin Audio’s multi-cellular array technology, which was used in all bar the Eventim Apollo (the only theatre on the itinerary) where the house rig was deployed. 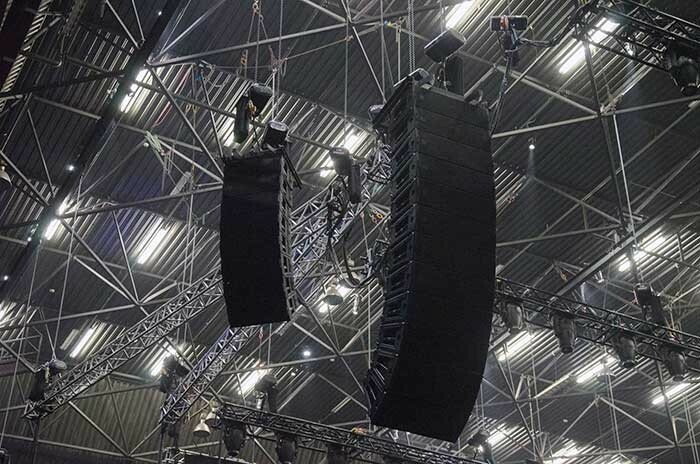 Elsewhere, production typically fielded 12 MLA elements plus two MLD Downfill per side and four MLX subwoofers per side all forward facing, with hangs of 12 MLA Compact per side for outfills and eight DD12 for front fill coverage. “I can honestly say that the Martin Audio system has a brighter, smoother high end, more powerful low end than what I am used to, and puts the vocal right in my face,” Acton observed. “MLA proved to be an excellent recommendation. It’s powerful and dynamic when it needs to be, such as in the rock classic Crazy Horses, but at the same time allows me a good deal of finesse, when run quieter. He was referring to Capital crew chief Robin Conway, monitor technicians Marty Beath and Barney Cushman and system technician Toby Donovan. This adequately services the four-piece band and playback tracks triggered by QLab play as well as time coded video. The stage retinue also includes four dancers. Far from applying pre-existing room presets at each venue, the changing stage heights positions and trim heights has caused Tony Donovan to take new measurements and in may cases react on the fly. “He is making modifications in the [DISPLAY] software as we go along so that I am always in the same environment as I was in the sound check even though humidity changes as the place fills up,” Chris Acton continues. And with the artist spending so much time in front of the PA, moving rapidly across to the side bleachers, and out into the house to glad hand fans, he has needed to remain alert. “With this high degree of audience participation we are constantly kept on our toes so I may suddenly need to refer to Smaart [analysis software], or dive onto a Lake processor,” notes Donovan. “Vocally, I wanted the PA I chose to be able to throw to the back of the arena, to provide the thump and bass that my artist would want and achieve the clarity through the mid and high, so I knew I was asking a lot of this system. Not only does it deliver that, but we get plenty of SPL without really touching the PA; there is headroom for days.